Buying or selling a home is one of the most significant financial and personal events of your life. Choosing the right Realtor® can also make it one of the best experiences of your life. We are big believers that three heads are better than one and we put the “power of three” to work for you. We work collaboratively to ensure no stone is left unturned and every detail is considered and addressed in a timely manner. We are committed to delivering the highest level of ethics, integrity, professionalism and technical expertise ensuring winning results and leaving our clients overjoyed with their outcome and experience. We each have different strengths which we blend together seamlessly to work on your behalf. We love what we do and it shows in every transaction and client experience. Collectively we have sold over $600M worth of real estate while completing over 725 transactions. We have each consistently ranked in the top 5% in the communities in which we serve. we work in oakland, Berkeley, alameda, piedmont, el cerrito, albany and san leandro. We are excited to share our expertise with our clients and bring this power together in one amazing team! Berkeley Mediterranean with a modern twist boasts 3+ bedrooms and two bathrooms in the heart of Westbrae. Numerous updates both in and out of the home include remodeled kitchen, lighting, paint, new hardwood floors, furnace, windows, a spacious new deck and so much more. Plus the versatile bonus room can function as 4th bedroom or home office. Neighborhood is ideal with access to shops, dining, parks and BART! 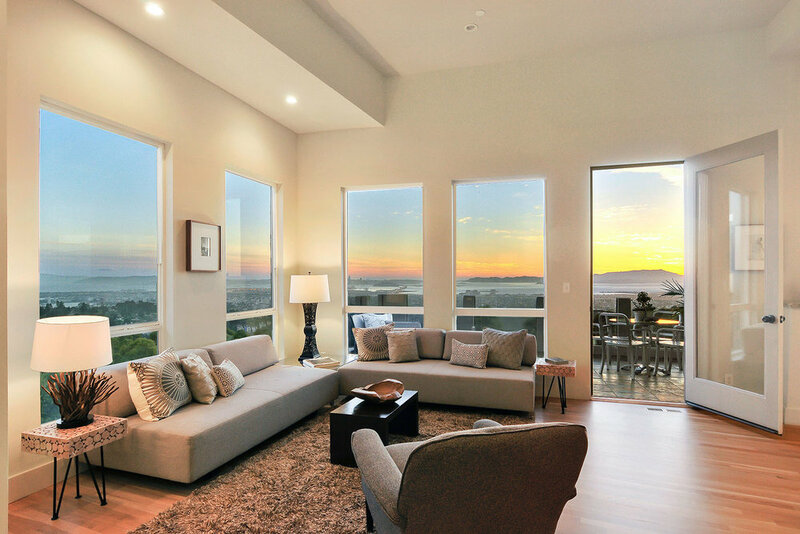 Level in home nestled on an expansive lot with stunning views of the Golden Gate and downtown San Francisco. A generous sized open living/dining room leads to a spacious view deck. Main floor bed/bath, a staircase leads up to two more bedrooms including a master suite with a second fireplace and yet another deck for those dreamy views. Lower level with both interior and exterior access can function as an extension of your home. Gentle sloping rear yard. Short distance to Gourmet Ghetto, top rated schools and numerous hiking trails. You will fall in love! Welcome to a maker's paradise in the Dimond. A light filled living room with peek-a-boo views and newly added hardwood floors will make you feel right at home as you step inside. Easy flow into the large dining room where countless dinner parties will unfold. A bright, updated kitchen with breakfast nook overlooks the backyard. There are two generously sized bedrooms one of which is a master suite. Both bathrooms have been upgraded with new vanities, fixtures and fun floors. The lower basement space is unbelievable! With approx. 8 ft tall ceilings and measuring approx 1,313 sq. ft. it is a blank canvas: a future rumpus room, guest space, artist studio, home gym or ADU? Wander into the yard and find apples, cherries, Meyer lemons, oranges, jasmine, lavender. Do not miss the detached garage previously used as a music room. All this and minutes to shops/transport in the Dimond District. Montclair, Fruitvale and Glenview neighborhoods are also just minutes away! Truly an artist's paradise. Delightful bungalow with three bedrooms, two bathrooms, large basement and garage. This beauty has numerous updates, an open kitchen/family room combo and offers a fantastic outdoor setting. Enjoy the deck and gorgeous yard w/ numerous veggies and fruits perfect for partaking in your own farm to table experience. A sweet home to entertain in and conveniently located to the best restaurants, shops, schools and transportation options. One-of-a-kind Rockridge Victorian. Even before stepping up and into the stately entrance you realize 5380 Shafter Avenue is a special place. From the vibrant front steps to the serene backyard--and everything in between--this captivating 4++ bedroom, 2.5 bath Victorian beckons those who appreciate functional luxury, historic significance and an artist's flair. Additional 1489 square feet (as measured) of basement space with it's own entrance provides for future flexibility. Situated on a large corner lot in quaint Rockridge, this upgraded landmark residence offers exquisite living in proximity to the entire San Francisco Bay Area. RENOWNED. COMFORTABLE. EXTRAORDINARY. Warm vintage craftsman with character and extra room to grow! The gorgeous formal rooms are filled with timeless details including classic built-ins, unique vintage lighting and refinished wood floors throughout, plus an eco-friendly updated eat-in kitchen and remodeled hall bathroom. Interior access to a full basement with flex-bonus rooms including a second bath and a detached double car garage allows plenty of space for guests, enjoying hobbies and creating the perfect "man-cave" or "lady lair". Perhaps you have been dreaming of an ADU? A beautiful and peaceful patio and deck is an enjoyable respite from the bustling Oakland neighborhoods; both Temescal and Rockridge shops and transport just a stones throw from your front door. 462 43rd Street is a very special place to call home! Pride of ownership exudes from this sharp Mediterranean. Retention of the original character has been kept and every improvement blends perfectly with the originality of the home. Enjoy this unusually large, split level abode with gracious sized formal rooms, eat-in kitchen w/breakfast nook, 2 beds/1.5 bathrooms, bonus guest or family room and a single car garage. A detached "casita" with an additional 200 sq ft offers flexible space for just about everything. The lovely designed front gardens greet you on your arrival home and the back yard, colorful and inviting, offers a fantastic setting for gatherings and relaxing. Situated near several acclaimed schools and offers easy access to freeways. Every detail of the home has been well thought out creating a magnificent setting to nest, entertain and live your best life. An amazing loft-like setting with soaring ceilings and sun-drenched living spaces greet you upon arriving at 1031 61st St. 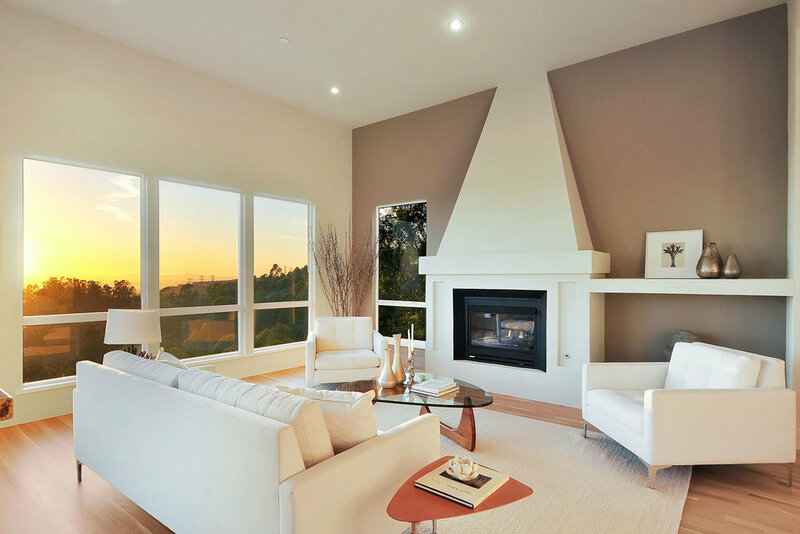 The open floorplan sets the stage for easy California living. The remodeled kitchen features modern cabinetry, black stone countertops, stainless steel appliances & farmhouse sink. Up some stairs to the master retreat with tall ceilings & natural light. A few steps away the updated bath includes double vanity, tile floors, colorful backsplash & jetted tub & shower. On the lower level the second bedroom allows for a flexible separation of space. A sleekly styled adjoining bathroom boasts a shower with tile surround. Tucked away in the hallway closet find a stackable washer/dryer. Do not miss the fantastic bonus room ideal for home office or third bedroom. A charmingly landscaped rear garden which is low maintenance! All this and located in the heart of NOBE close to eateries, parks & transport. What more could you ask for?